Seattle JazzED was founded in 2010 with one simple mission: Make sure every young person who comes through our doors gets an excellent music education. 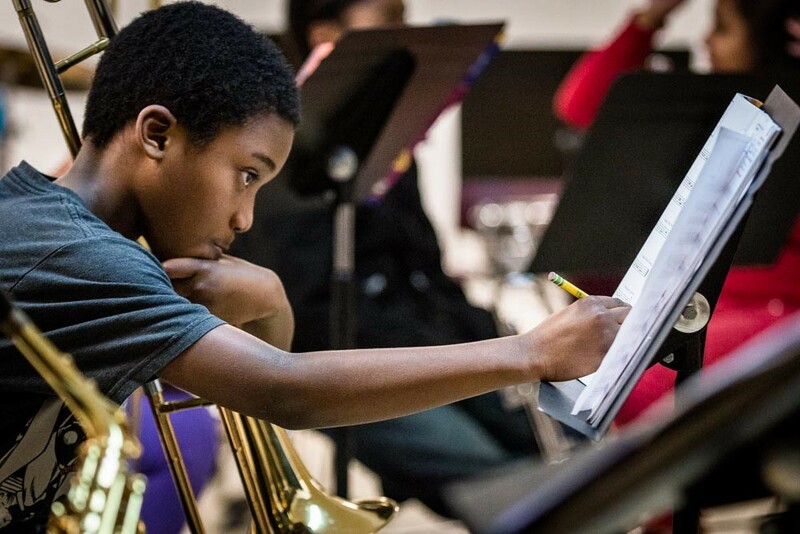 Our goal is that every JazzED student will experience the life-changing magic of teamwork, accountability, confidence, and empowerment that comes from a dedicated education in the quintessentially Black American art form that is Jazz. Grades 4-12 are welcomed at all levels, to audition for a jazz band ensemble, take a one-day workshop, or spend a week in summer honing skills. Or all three! Not to toot our own horn but we are known for some awesome educational opportunities, from the New Works Ensemble directed by renowned composer Wayne Horvitz; to the Girls Ellington Project, Seattle's premier all-city girls' jazz band; to Summer Jazz Ambassadors, a multiage swingin' summer band with training in public speaking and mentoring. Have little ones? Kids ages 8 months to 5 years can move and groove at WeBop, our early-childhood class for babies and toddlers. Seattle JazzED believes that achievement of our core mission - to empower ALL students with exceptional music education - requires an organization-wide commitment to dismantle systemic racism, sexism and economic inequality by keeping issues of equity centered in our work. We will strive to understand, support and reflect the communities that we serve. It's about more than jazz. Expect an excellent music education with a comprehensive curriculum taught by dedicated, professional instructors. You can get the tools you need to learn and grow at JazzED. Sliding scale tuition, as well as a free loaned instrument, is always available. JazzED students work, learn, and grow together building a musical community reflecting the gender, racial, and economic diversity of the greater Seattle area. Jazz music teaches a lot more than Jazz! You'll learn focus, teamwork, and the confidence that comes from taking creative risks.